How many genders does Dutch have? Why do Dutch speakers write het boek het ‘the.neuter book it.neuter’, but say het boek ie ‘the.neuter book it.masculi ne’? Why is it difficult to choose a pronoun for pasta, shampoo and gel? How is it that music in Dutch can take pronouns from four different genders, and how can linguistic theory handle such a fact? These and other questions about pronominalization in modern spoken Dutch are answered in this book. On the basis of a large sample of corpus data, a unified theory for Dutch gender agreement is developed. With the help of many examples, the seemingly erratic pronoun usage in the spoken language is shown to be systematic and regular, employing semantic distinctions that are well known from typological research. With a competing semantic and syntac­tic system, Dutch gender offers a window on the factors that favour semantic or syntactic agreement. The Dutch data is compared to facts from other Ger­manic languages and from pronominal gender languages elsewhere in the world. The evidence sheds new light on the relation between gender assign­ment and gender agreement. 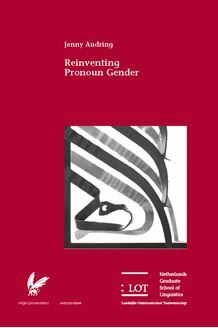 For Dutch itself, the quirky pronoun usage is shown to be an ingenious solution for a historical problem in the gender sys­tem.